Cataracts are a common issue as people get older. This is especially true if the older individuals was a smoker, suffered from a previous eye injury, or has spent a lot of time in the sun. Thankfully, cataract treatment is simple and straightforward, and patients routinely undergo this surgery all the time. After undergoing cataract surgery, there are a few key do’s and don’ts for patients to keep in mind. One of these rules involves swimming after surgery. 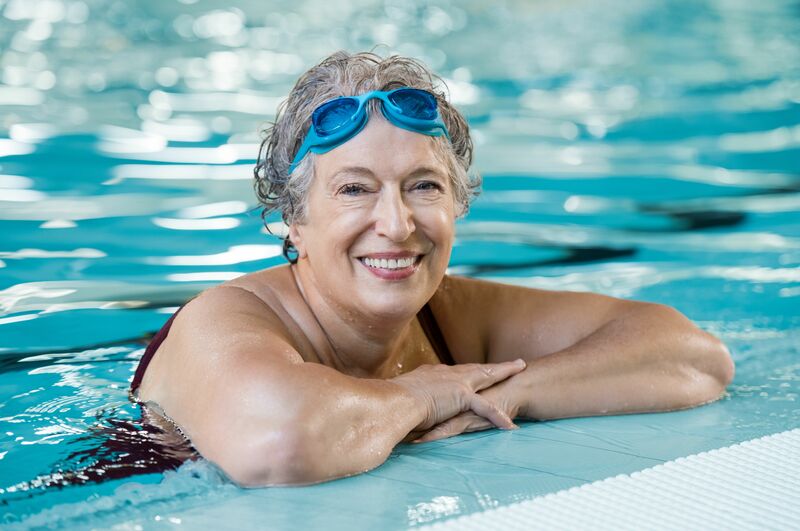 The team at our Detroit, MI eye care center would like to consider proper patient recovery after cataract removal and why swimming needs to wait. After undergoing any kind of surgery, the risk of infection is heightened. This is especially true about surgeries on the eyes. Liquid, dust, and particulate matter can cause serious irritation of the eyes after a vision surgery. These substances can also cause eye infections, which put your health and your vision in jeopardy. After cataract surgery, laser vision correction, and other kinds of eye procedures, surgeons always instruct patients to be protective of their eyes while they heal given the infection risks that are involved. This means, among other things, avoiding swimming until healing is completed. While wearing goggles will protect your eyes from contact with water, there is still a heightened risk of infection after cataract surgery. The chance of even a little bit of water getting into your eyes is a dangerous prospect. Ultimately, it’s better to be safe than sorry when it comes to your vision. Wait a bit before taking a dip, regardless if it’s a pool or a natural body of water. When Can I Swim Again? Patients will be allowed to swim again while wearing goggles approximately 2 weeks after their cataract surgery. Patients can return to swimming without goggles approximately 4 weeks after the cataract surgery. If your surgeon advises waiting longer, be sure to heed their instructions to prevent complications. While sitting in a hot tub isn’t swimming per se, it is still being submerged in water that harbors bacteria and other vectors for potential infection. Because of this, patients should also avoid using hot tubs for at least 2 weeks after cataract surgery. Goggles should also be worn while in a hot tub for the first month of recovery just to be on the safe side. Swimming is just one of many things people should avoid in the initial weeks after cataract surgery. Smoking, alcohol consumption, strenuous physical activity, and rubbing the eyes should also be avoided until your surgeon says otherwise. Follow all of your post-op instructions to the letter in order to ensure a problem free recovery and optimal vision following cataract removal. To learn more about cataract surgery and what to expect as you recover from the procedure, be sure to contact our eye care and vision practice today. Our team will work with you to restore vision quality as well as your overall well-being.